Commemorating the 50th anniversaries of the Wild & Scenic Rivers Act and the National Trails System Act, with new music inspired by American landscapes. This Land Is Your Land celebrates the American ideal of opportunity through the lens of great American landscapes. This Land Is Your Land is part of a nationwide series of concerts in fall 2018 commemorating the 50th anniversaries of the Wild & Scenic Rivers Act and the National Trails System Act. Organized by the Landscape Music Composers Network, and presented in collaboration with venues and performers across the country, these concerts highlight and celebrate the significance of our national trails and rivers through musical expression. 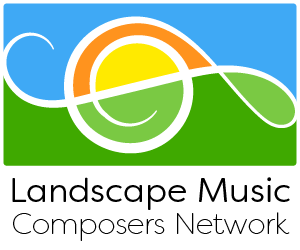 The Landscape Music Composers Network is a group whose music engages with landscape, nature, and place. Including artists both established and emerging, writing in diverse styles, this network is a platform for collaborative projects aiming to increase appreciation and awareness of the natural world through music. This concert is also part of the Boston New Music Festival, a three-week showcase of Boston's vibrant contemporary music scene.